As many of you know, I love an adventure and trying new things. I recently had an opportunity to do both. A couple of weeks ago, I was scheduled to work for an entire week in Los Angeles, with the exception of Tuesday. I took that as an opportunity (or should I say excuse?) to explore a little or to do something fun. I checked Yelp and Trip Advisor for some ideas, and of course Disneyland was one of their recommendations. This got me thinking. 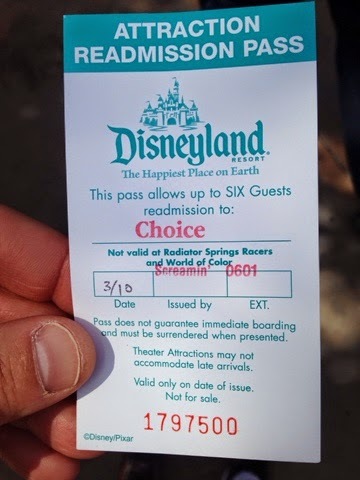 Since I have an annual pass, why not head down to the parks for the day? I decided to call a few people to see if anyone was free, but unfortunately, no one was. Ugh. Time to look for a Plan B. Or was it? Hmm, what if I just went by myself? Wouldn't that be weird, though? 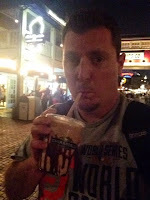 I wanted to get a second opinion, so I went back online and read a few blogs from people who had done Disneyland solo. They all recommended it. 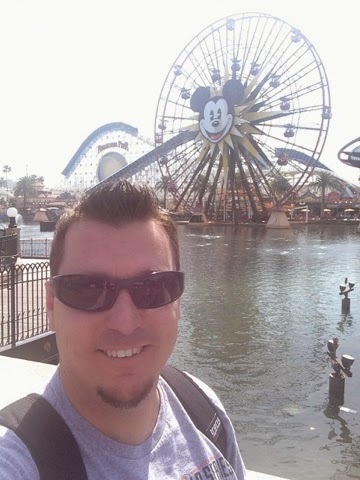 Between that and with a little encouragement from my fellow Disney nut/wife, I decided it might be worth heading down to Anaheim to spend a few hours in the parks and have lunch. I mean, it beats hanging out in the hotel all day, right? 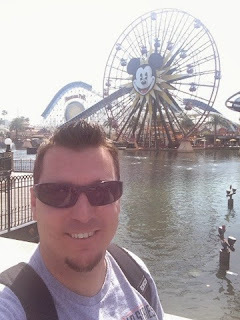 So the next morning, I braved the L.A. traffic and took the 40-mile drive to the Happiest Place on Earth. It took me well over an hour, but finally I arrived, parked the car, and began walking towards the gates. 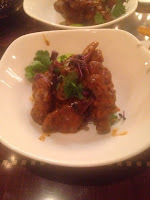 I quickly became very aware of all of the families and couples around me, and started to have second thoughts. Perhaps this was only a good idea in theory. Awkward or not, it's a little late now. 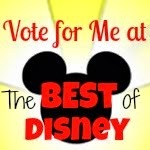 Besides, worst case scenario is that I head to Downtown Disney, grab some lunch, and drive back if it wasn't fun. I decided to check out California Adventure first. Any awkwardness I felt quickly went away as I strolled from the main entrance to Radiator Springs Racers and observed that there were a lot of people walking by themselves. I assumed that they had temporarily separated from their group to pick up a Fast Pass, get a drink, maybe use the restroom and were now headed back to meet up again. And that was when the light bulb above my head lit up! Other people who see me will probably assume the same thing (that is, if they even notice me at all). Alright, I'm ready to do this! With one ride down, I recalled that California Screamin' was close by, so I decided to go there next. (Side note: this is one of the perks of going solo- no long discussions to get everyone to agree what to do next. You want to do something? You do it.) Using the single rider line again, I was able to board the coaster in only 27 minutes (as opposed to 35 in the main line). To pass the time, I struck up a conversation with the guy in front of me, an entertainment lawyer from L.A. 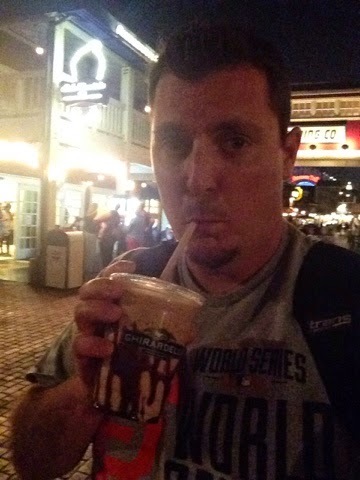 He had finished work early and since he was an annual passholder, decided to spend the afternoon at Disneyland. How cool is that? Afterwards, as I exited the ride, I was greeted by a Disney cast member who was handing out readmission tickets. Apparently, the ride had broken down while we were waiting and to compensate us for the "inconvenience", we were all given a front-of-the-line pass to whichever ride we wanted to go on next. Really? It was only twenty-sev... uh, nevermind. Thanks. Girl: (in a reassuring voice) "Just so you know, that service elevator, it's not real." Me: "I sure hope so. That video was pretty scary." Me: "I'm so glad you told me that. I was getting nervous. Will you remind me again if you hear me screaming on the elevator?" After having lunch at Carthay Circle (opting for the firecracker duck wings of course), I walked across the way to the Disneyland side where the trend continued- short lines, easy decisions, and random conversations with complete strangers. It was such a different, but great way to experience Disney! In addition to the lawyer and the brave little girl, I also met a newspaper editor from New Orleans and a lady from Salt Lake City whose nephew is an axe murderer. Yes, you read that correctly. To call It an over-share would definitely be an understatement, but I have to admit, it certainly was a fascinating story and made the time pass quickly while waiting in line! Although I only planned on going to the parks for a few hours, when all was said and done, I ended up spending the entire day there. And I realized on the drive back to the hotel that I had managed to get on a total of ten rides, waited for an average of only 16 minutes per ride, and wanted to add my name to the list of bloggers who would recommend that others try Disneyland solo if the opportunity presented itself. I go by myself all the time. It took years to draw up the nerve to do it, but I bought an annual pass and I go over there often whenever I have days off and I'm not blocked out. 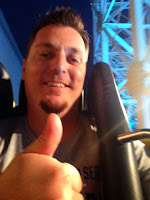 I rarely go on rides unless the lines are crazy short. Radiator Springs Racers is one of the easier ones with a single rider line. Soarin' has one too. One day I was in one of the stores and I heard an older gentleman talking to the clerk about being on his daily walk. I assumed he was probably retired and lived in the area and used DL as a place to just have some human contact. I totally get it. Glad you enjoyed your day!